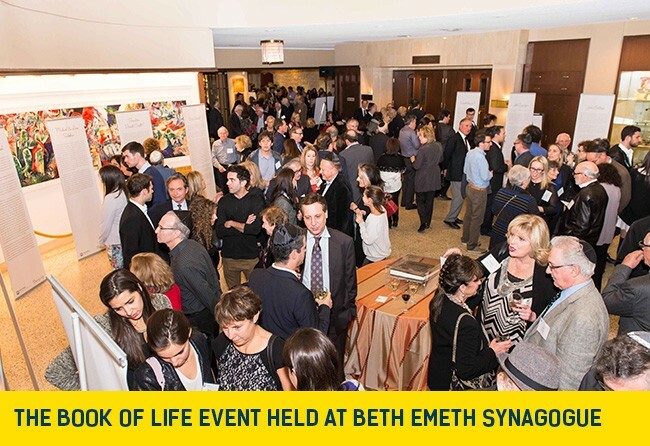 By Dan Horowitz--The Jewish Foundation of Greater Toronto, UJA Federation’s planned gift and endowment arm, recently celebrated its 12th Annual Book of Life event honouring 19 new stories to a wrapt audience at Beth Emeth Synagogue. The new personal tales brings the Book of Life’s impressive roster to over 300, each of which shows the commitment and dedication of the authors who have chosen to leave a legacy for the future of Jewish Toronto. Keynote speaker Sally Oren, an IsraAID Goodwill Ambassador and the wife of Michael Oren, Israel's Former Ambassador to the US, shared her touching and personal story with those in attendance. The Jewish Foundation of Greater Toronto, chaired by Lisa Draper, currently has more than half-a-billion dollars in both current assets and planned gifts. Over the last 5 years alone, more than $100 million has been distributed through the Foundation to an eclectic array of vital agencies and organizations, transforming lives across the GTA, and throughout Israel, a fact that makes the Immediate Past Chair of the Foundation, Fred Waks, extremely proud.